If you were hoping that, with the benefit of hindsight, Juventus might have come to regret their gross and tone-deaf defense of Cristiano Ronaldo on the heels of Kathryn Mayorga going public with her claim that Ronaldo raped her, well, we have some bad news for you. I have this bad habit when problems occur where I tend to look people in the eye and ask them direct questions and then judge for myself. It happened with [former Juve manager Antonio] Conte in 2012. It happened with [security manager Alessandro] D’Angelo. It happened with Cristiano. I am very calm having spoken to him directly as soon as the case emerged on what is the position of the boy. And his attitude and behavior in the following days and weeks can only confirm this initial feeling. 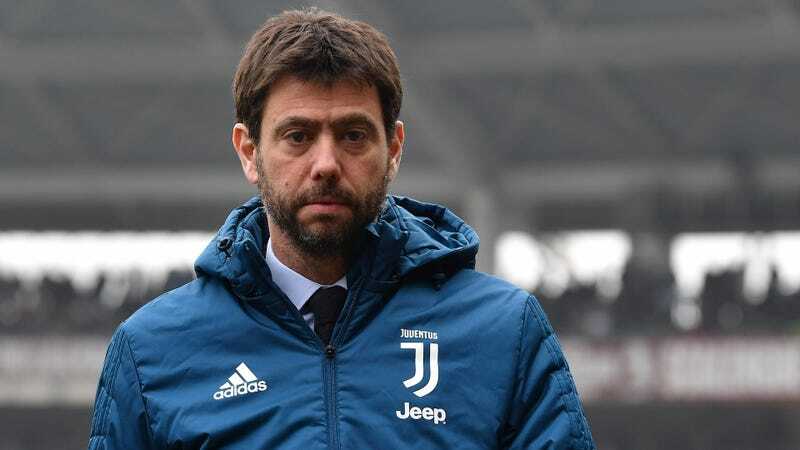 It is a personal case and the choices are his, but having spoken to him with Pavel [Nedvěd, a club board member] and Fabio [Paratici, the club’s sporting director] on that occasion, I reiterated to him that if he needs anything, my door and Juventus’s door are always open and we are here to help him and support him in every way, as we do with everyone—with all the men and women of Juventus—when there is a need and when we are convinced that they have behaved properly. Ronaldo is currently the subject of both a civil complaint and a criminal investigation relating to Mayorga’s detailed claims that he raped her in a Las Vegas hotel in 2009—an allegation Ronaldo has already paid Mayorga a hefty sum to make go away. If the star forward can introduce Agnelli’s human-polygraph abilities into evidence in either of those cases, or maybe even in the allegedly imminent but curiously slow-to-emerge defamation suit his lawyers promised to bring against Der Spiegel, the magazine that broke the story, Ronaldo could certainly rest easier knowing his exoneration was all but guaranteed.